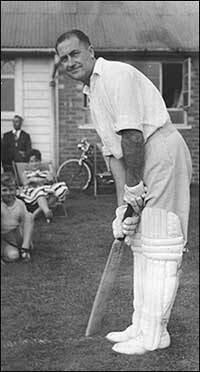 Denis played football and cricket at Newton Road school, and then at the Intermediate School, where he played for the school teams in the mid 1930s. 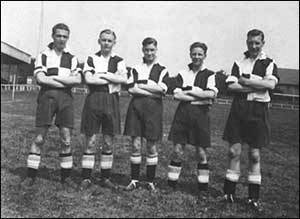 He was 'Chocolate Boy' at Rushden Town Football Club in 1933/4 and he got 1d in the 1/- commission! The boys were all very keen, and on leaving school they decided to form an 'Old Boys' team. 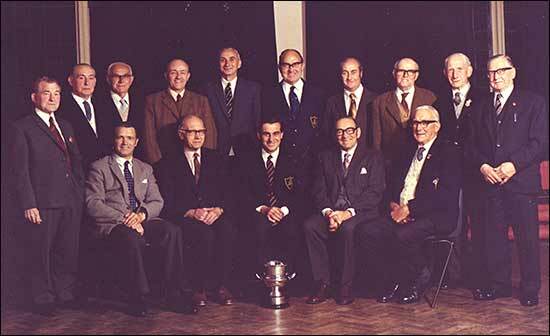 This team was later renamed Rushden Amateurs. 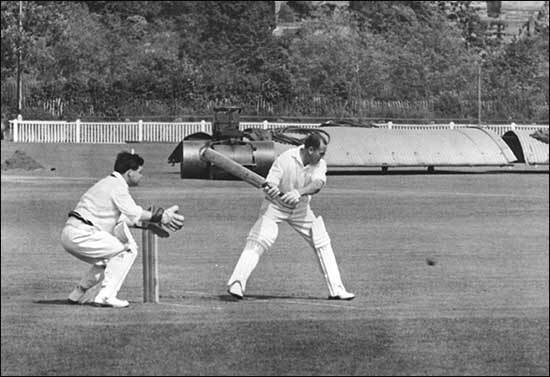 After service in the war, he returned to cricket and in a few years he was made vice-captain, and took over as captain when Bob Whiteman retired. In later years he has turned to bowling. 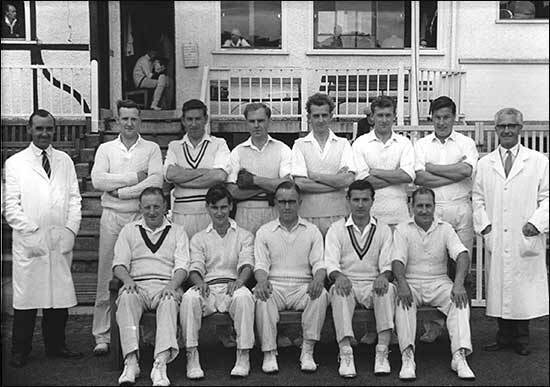 Denis is back row 7th from the left.